Dealing with toxic people in the workplace is draining. It is especially challenging when that person has a lot of power at the firm. The knowledge that you will have to cross paths with these powerful but toxic people can fill you with dread (enough to call your local recruiter). Powerful but toxic people are found everywhere, at every firm, at every corporation, even at every level so there is no escaping them. Here are a few tips on how you can handle powerful but toxic people at work even when they wield a lot of power. Deal in facts. If a powerful but toxic person is throwing their weight around, stick to the facts when discussing any and every issue. Do not waste energy expressing to them that they are being disrespectful or unfair. A toxic person isn’t likely to agree nor will they correct their ways. The powerful but toxic are more likely to say that your experience isn’t real, exaggerated or isolated. Take a breath, WOOSAH a couple times, remain calm and state the facts of the issue. Stand firm. Simply because someone has power, it does not give them the license to abuse you or anyone for that matter. Stand firm and be prepared to correct false or disparaging comments. It only takes one time – one time for you to stand up for yourself and show them that you are not a pushover (and no one to mess with), or one time for you to cower and they treat you poorly all. the. time. Refute insults with one-liners. Sometimes toxic people cross professional boundaries by insulting their colleagues. When this happens, simply refute the insult with a one-line comeback that can be as simple as, “That’s not in any way accurate” or “No, that’s not right.” See tip #3 – stand firm. Powerful but toxic people need to be shown their place. Stick to the facts and do not waste energy telling them how you feel. Keep to the facts. For instance, if you are falsely accused of handing in late tasks, provide proof of the contrary. 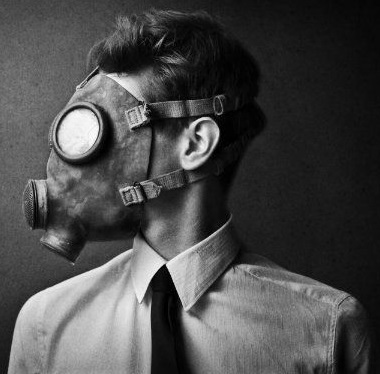 Don’t allow powerful but toxic people ruin your workplace environment. Be prepared to deal with them at any time. Subscribe to the Leopard Blog for discussions on standing up for yourself, diversity, law firm insights, and other relevant topics.